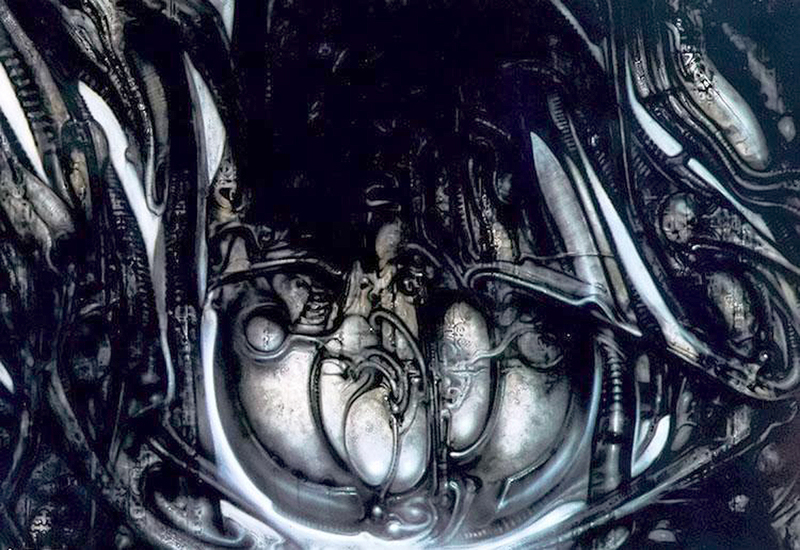 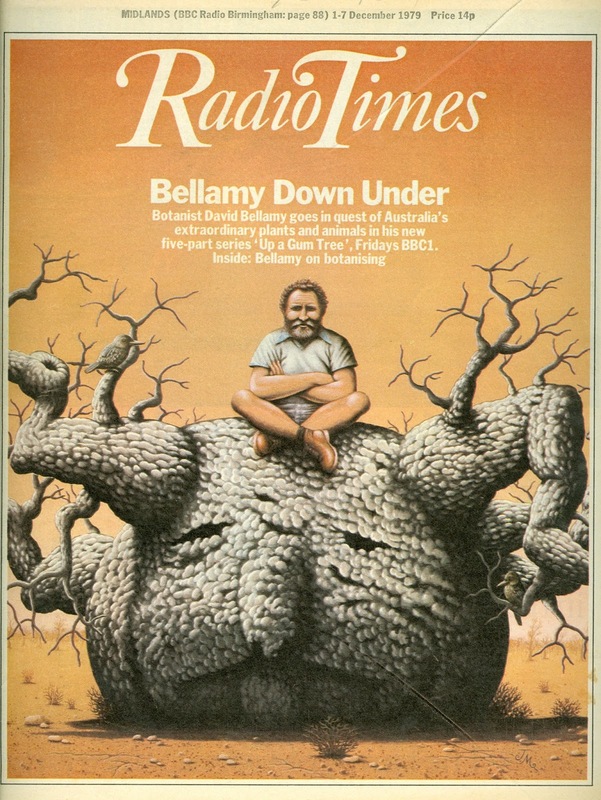 Alien Explorations: HR Giger: Bellamy Down Under illustration on the Radio Times referenced in Biomechanical Landscape (Sack) (work 434)? Biomechanical Landscape (Sack) (work 434)? a) On 23rd January 2017, I am looking through images from the Radio Times on a Facebook page dedicated to collecting the magazine, it is a British weekly radio and television magazine and I find a page from the issue from 1-7 December, 1979 for Bellamy Down Under, and seeing some surrealistic implications in the composition thought that HR Giger might like to see it and so sent it to him. 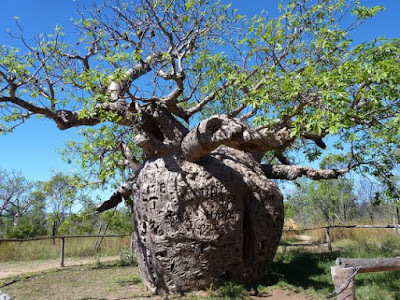 b) The image shows a caricature of David Bellamy sitting on a baobab, also known as a Boab Prison Tree, with its trunk turned into a face of a koala and the tree limbs turned other forms such as bird head and necks. 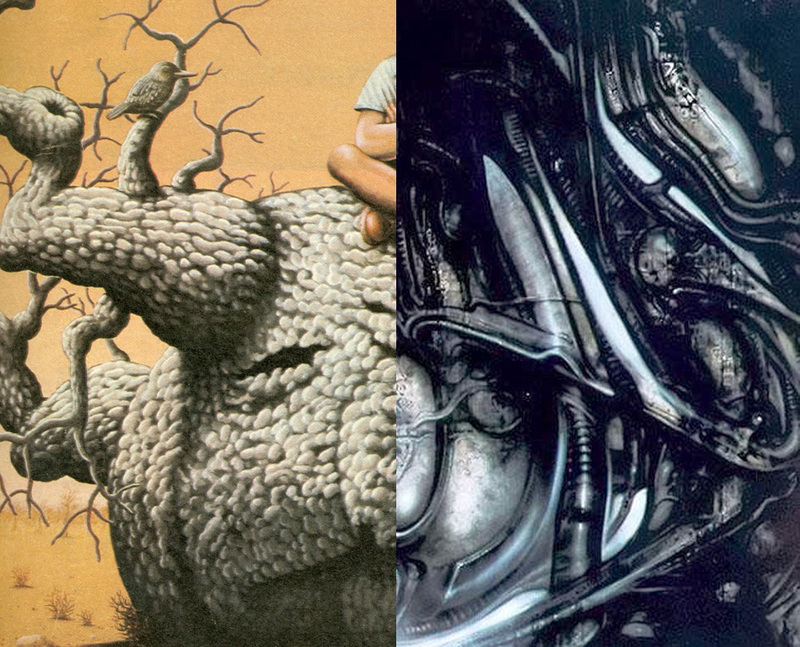 The idea comes along that the left right side of the sack references the tree trunk/Koala bear face with the shape of its nose and lower part of its mouth quit evident, but with the slit eye sloping down to the side represented by a sloping bar that curls up at the very end. c) The other idea becomes that it lead to the painting Biomechanical Landscape (Sack) work 434 that was done the following year in 1980, which I have decided referenced one of the Tomita album covers Firebird.